Admittedly, it’s not a groundbreaking piece, but thankfully Tennor knows that, too. 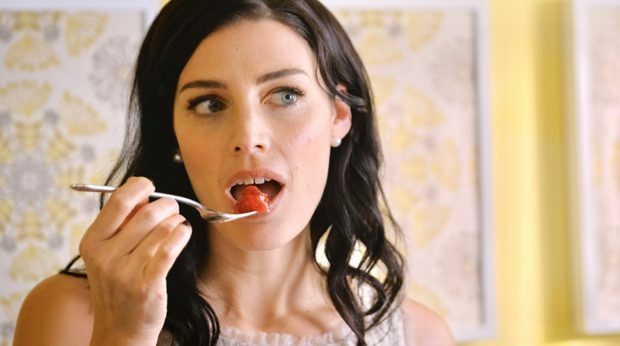 She doesn’t belabor the “secret ingredient.” Instead, the set-up is an exercise in dramatic irony, with nervous giggles stemming from the almost 50s-sitcom conversation between Carol (Tennor) and her guest Annette (Jessica Pare). The perfectly put together pair sit over a serving of cherry pie; of course, we’ve seen Carol’s preparation, which implied that in addition to fruit filling, there was a soupcon of ghoulishness. We know what’s going on — the question is, when will Annette? But I believe it’s not the tale, it’s the telling that makes a short worth watching. Tennor believes in the power of suggestion, giving at best just glimpses of viscera, leaving far more to our imaginations. 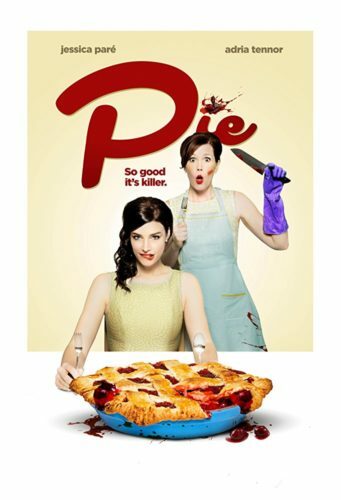 It fills “Pie” with a delightful sense of dread, and yet the twist may be more human than you’d think. It’s fun, and there are still two chances to catch the “Mindbenders” program at Cinequest this week.